I keep going back and forth between panic that I still have a hundred things to do before Halloween and sadness that it is almost over. I love October! At least when Halloween is over we don't have to give up fun Pumpkin flavored desserts. We have a good month left to capitalize on those. 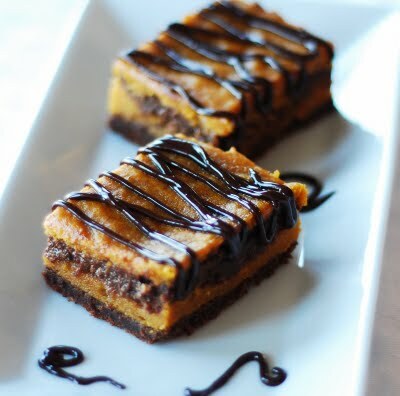 Which will give us all time to make these pumpkin swirl brownies from Becky Bakes.